The RS series units are extremely versatile refrigeration monoblock units, with installation possible on any kind of material. The body of the condensing unit is made from epoxide powder painted steel sheet whereas the evaporator is made from aluminium sheet. The main feature of the body is the presence of front panels that open, facilitating access to the cooling system. The compressors are reciprocating hermetic or semi-hermetic type functioning with refrigerant R404A. The RS units are suitable for external application and are weather resistant. 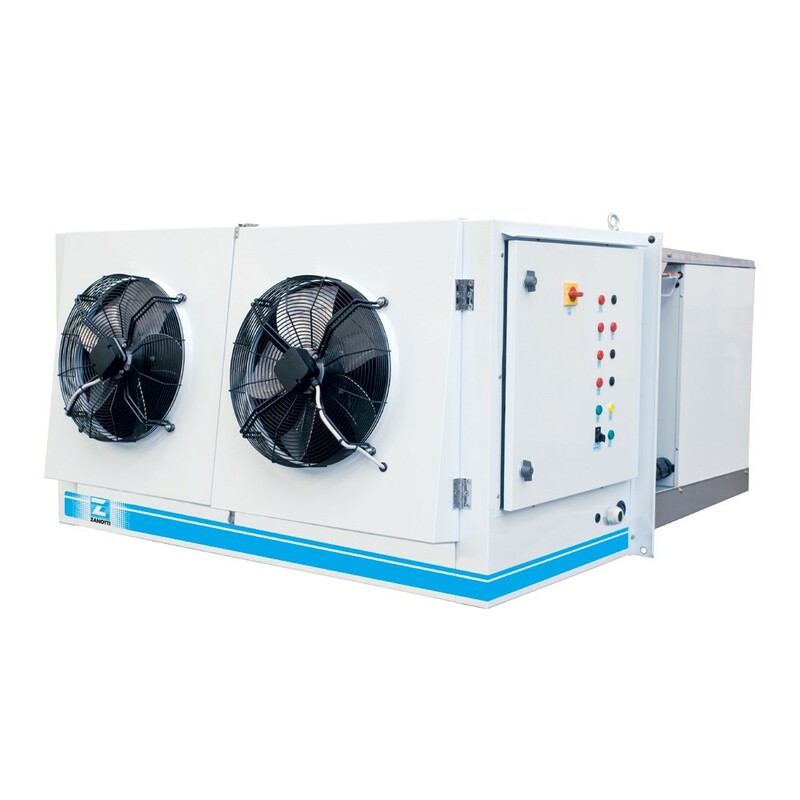 The units are available in both medium and low temperature, and also in special execution called “Polivalente” P (multi-purpose), enabling use of the cold room both in medium and in low temperature. The series called “C” is equipped with two-stage semi-hermetic reciprocating compressors and is suitable for the freezing tunnels. The door has blocking and status signaling lamps.